Guest blog post by Ari Schwartz, Internet Policy Adviser at the National Institute of Standards and Technology, and member of the Internet Policy Task Force at the Department of Commerce. As we all know, the Internet has led to incredible commercial growth and an unprecedented means for self-expression and innovation. Some industry analysts now estimate that the Internet now carries some $10 trillion in online transactions annually. However, each time a new technology dramatically expands the boundaries of commerce, there are dishonest, dangerous people who try to disrupt and exploit the new pathways for their own gain. Therefore, it should come as no surprise that as the Web, e-mail, and e-commerce have become the electronic version of Main Street, hackers, spammers, and cybercriminals have emerged as major threats to its welfare. 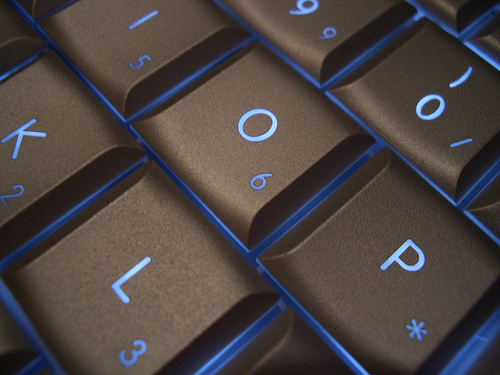 An estimated 67,000 new malicious viruses, worms, spyware and other threats are released every day. To paraphrase Willy Sutton: It’s where the money. . . and the information is. A new Commerce Department report issued today calls for a public-private partnership and voluntary codes of conduct to help strengthen the cybersecurity of companies that increasingly rely on the Internet to do business, but are not part of the critical infrastructure sector as defined by the administration’s recent cybersecurity legislative proposal. Issued by the department’s Internet Policy Task Force, the report targets what it calls the Internet and Information Innovation Sector or the I3S. These are businesses that range from Mom and Pop manufacturers or startups that sell most of their products and services online to social networking sites like Facebook and Twitter to cloud computing firms that provide anytime, anywhere access to applications and personal or public data. 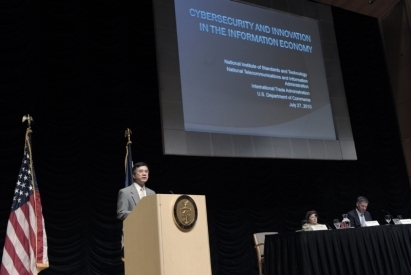 Today the Commerce Department hosted a public symposium on the protection of consumers’ and the commercial sector’s information from increasingly sophisticated cyber threats. Secretary Locke provided opening remarks at the event, held at the Ronald Reagan Building in Washington, D.C., followed by remarks from U.S. Senator Barbara Mikulski. The meeting is part of a broader effort to use the Internet to foster innovation and economic growth. The symposium was organized by the Commerce Department’s Internet Policy Task Force and featured senior government and private-sector leaders in a wide-ranging discussion of issues, best practices, and strategies for responding to cyber threats.